Digital Painting Techniques returns for the seventh volume! It's still a thick 288-page book packed with detailed tutorials. The book is for intermediate to advanced artists so if you're just starting out, it might be slightly difficult to follow especially if you're not familiar at the fundamentals of digital painting. For this volume, the first half of the book focuses on three main subject matter, namely vehicles, stylized female characters and pin-up girls. The second half looks at concepts and techniques on speed painting, matte painting and creating environments. About the section on the vehicles, I can definitely see the Mad Max influence or where they get their ideas from. 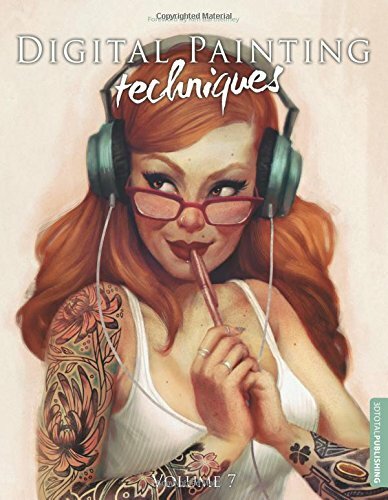 It's another great book for honing your digital painting skills, just like all the earlier volumes.